Steam Monaghan DLC Package is Online! The Monaghan is a US Farragut-class destroyer with a 127 mm long-range high-altitude artillery. The ability of the gun to shoot is its main strength, in addition to it, there are other secret weapons. It has a replaceable hull that reduces the number of main guns, increases the number of anti-aircraft guns and powerful remote torpedoes. 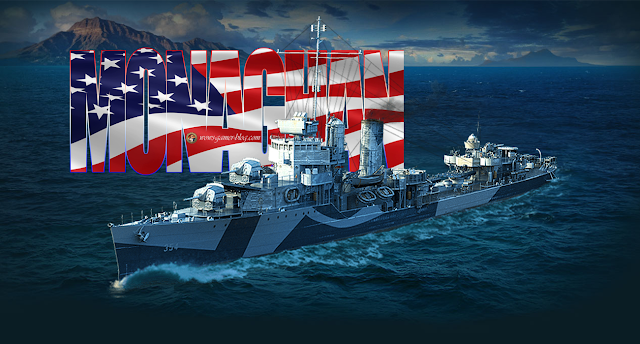 This variant of the Monaghan is smaller in size than the Japanese destroyer. You can choose the way you prefer to play. Hull A: 4 127mm artillery, 12.5km range, 4 seconds refill time. Eight groups of 6.3 km range torpedoes with a maximum damage of 11,733 hits and 87 seconds of refill time. Hull B: 10 groups of 9.15 km range torpedoes, maximum damage 16633 health, 122 seconds refill time. It also has an efficient anti-aircraft gun with a range of 3.5 kilometers (without upgrades and commander skills). A consumable torpedo loading booster that is not common to US destroyers. Increase the income of silver coins and increase the experience value provided by 50% painting. 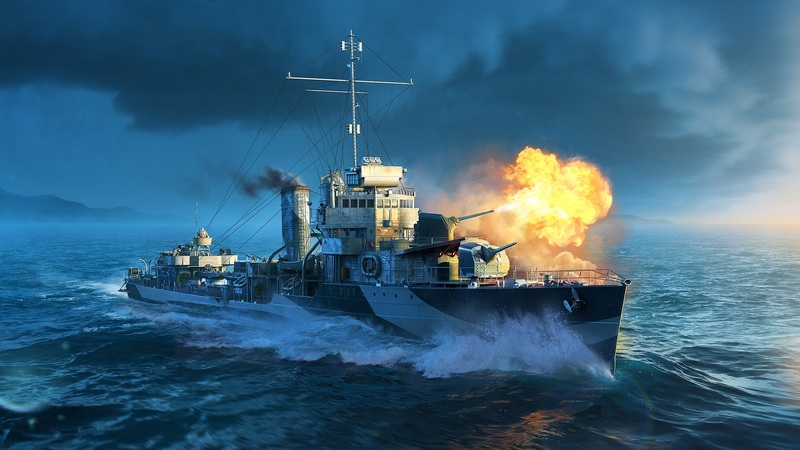 Use the battleship's first 25 battles with +200% experience points per game. This DLC does not apply to accounts created outside of the Steam platform.